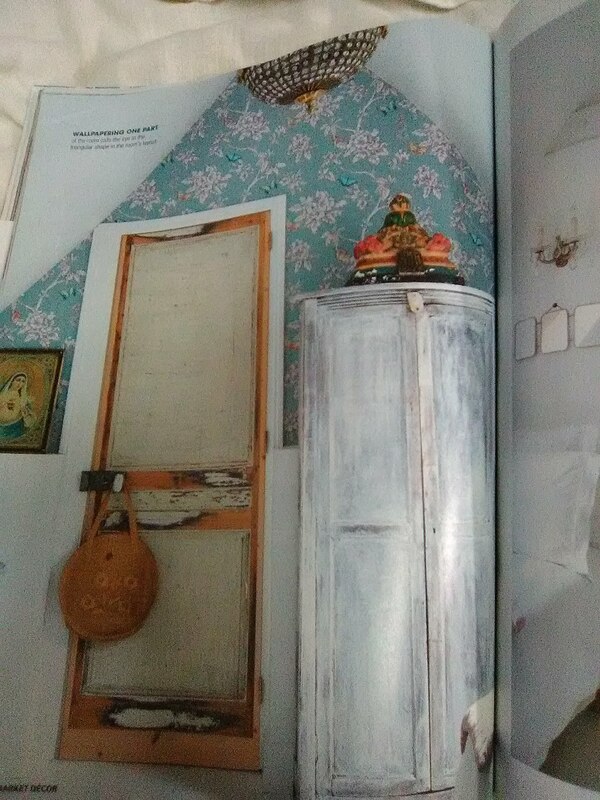 I know that the current interior design craze is HGTV’s Joanna Gaines / Fixer Upper look, with vast open rooms, white and grey on every surface, and uncluttered spaces. 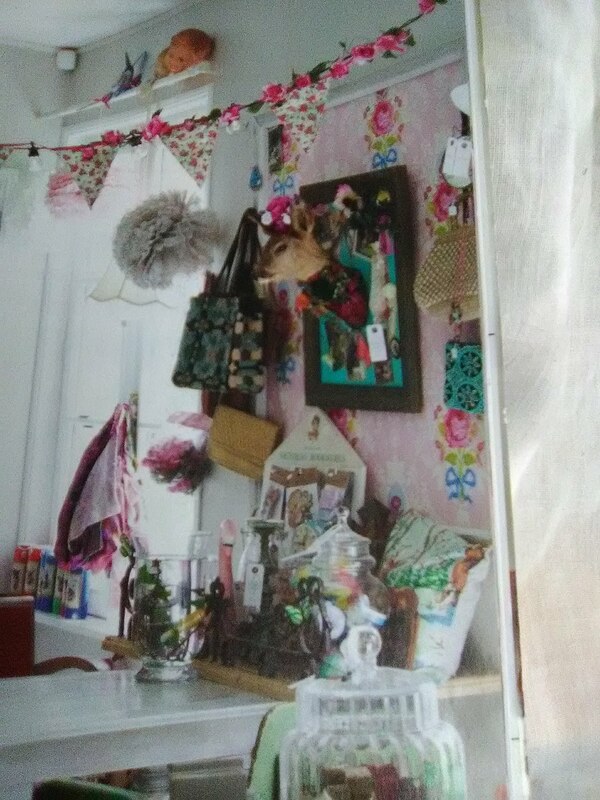 But there are plenty of people out there – me emphatically included – who like the feel of walls around us, love color, love all things vintage, love to collect, and love to look at our collections. 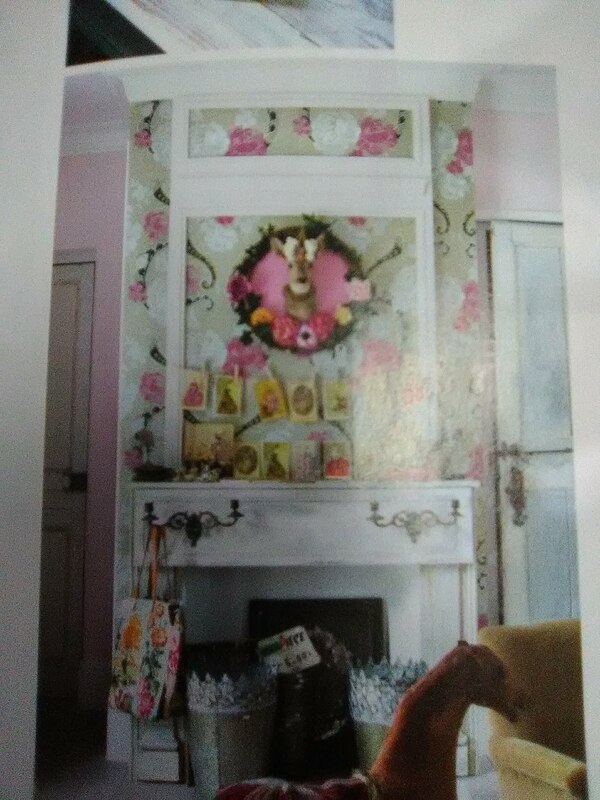 At Christmas, my brother gifted me with a subscription to Flea Market Décor magazine, and, boy, was this a perfect fit! 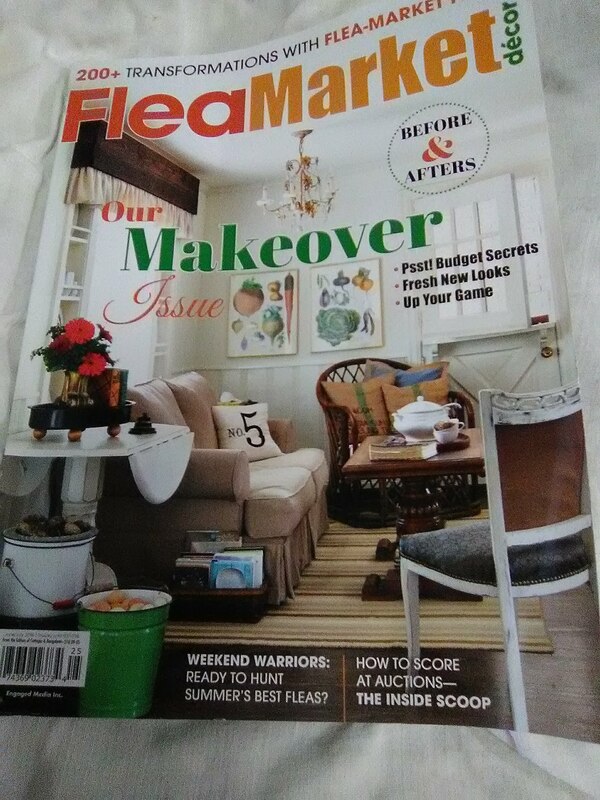 If you like old stuff, retro stuff, imperfect stuff, beat-up stuff, quirky, fun, colorful, funky, junque, thrift stores, and flea markets – go check out this magazine! 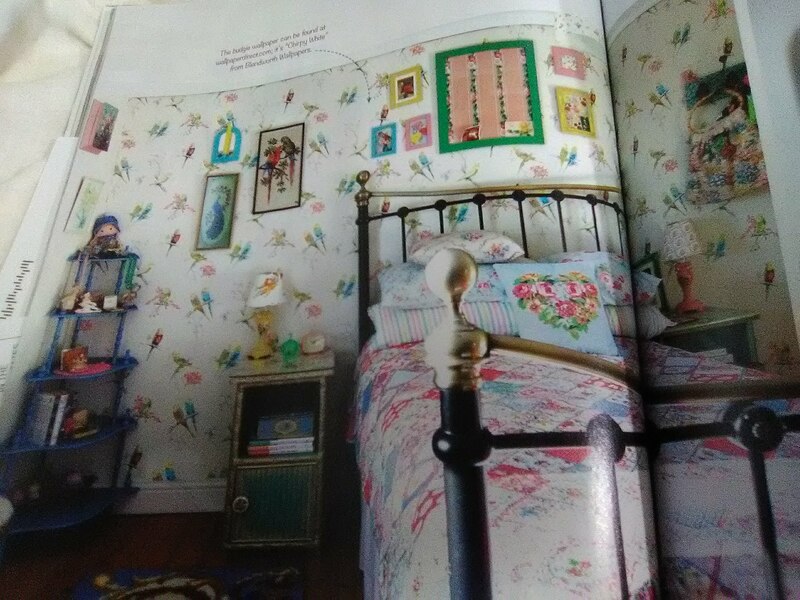 Anyway, I am always thrilled to see wallpaper in magazines, and the spring 2018 issue of Flea Market Décor had lots of it. 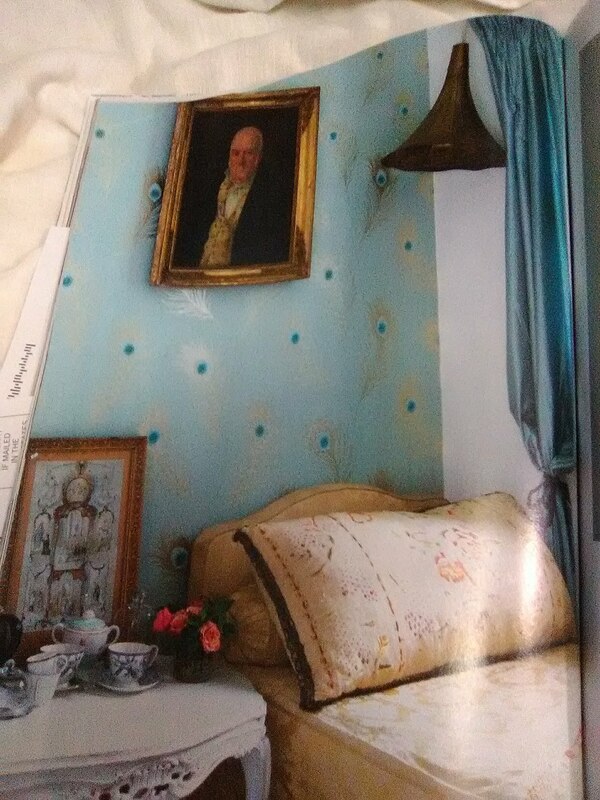 Note the use on all walls of a living room, and one accent wall of two different bedrooms. Bold patterns and receding patterns. 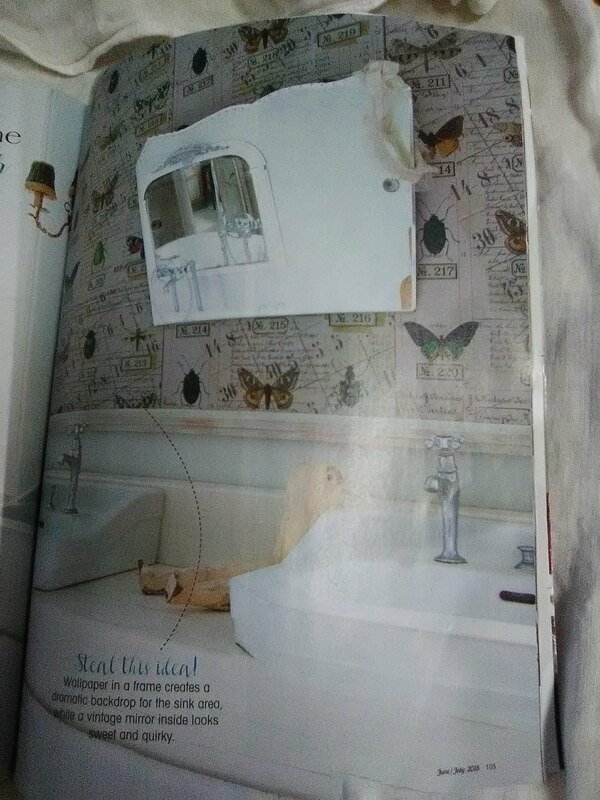 Some paper was used to highlight panels in a door, the butterflies were captured in a large frame over a bathroom vanity, and a bright pink pattern accents a desk area. 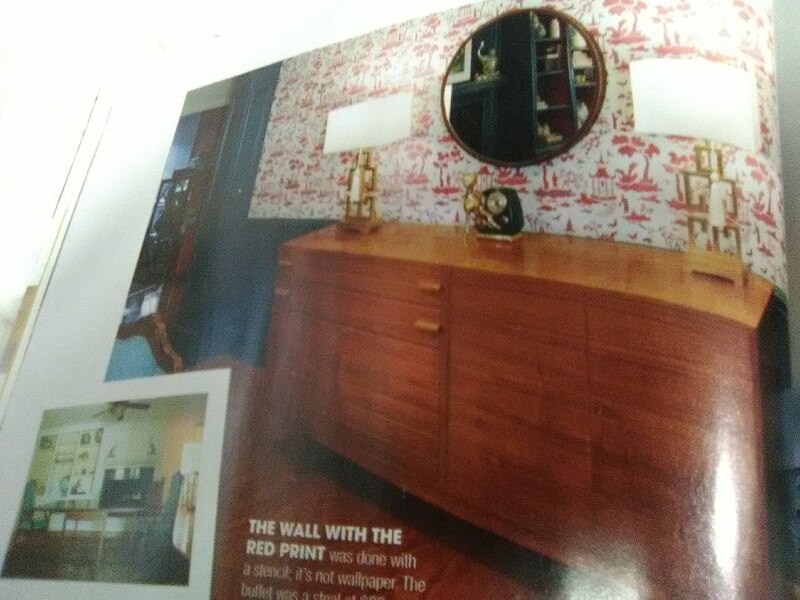 You will notice vintage and retro furniture. 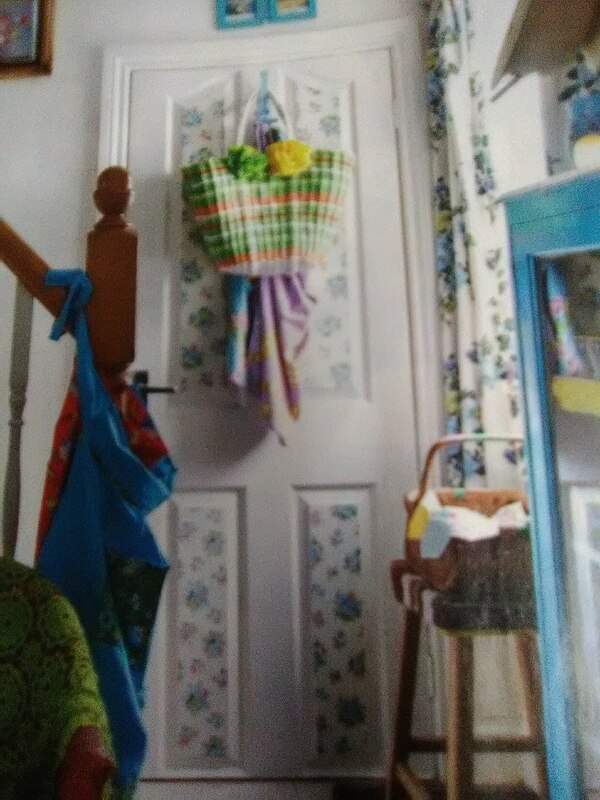 Many of the rooms use recurring color, pulled from the wallpaper and used again throughout the room. 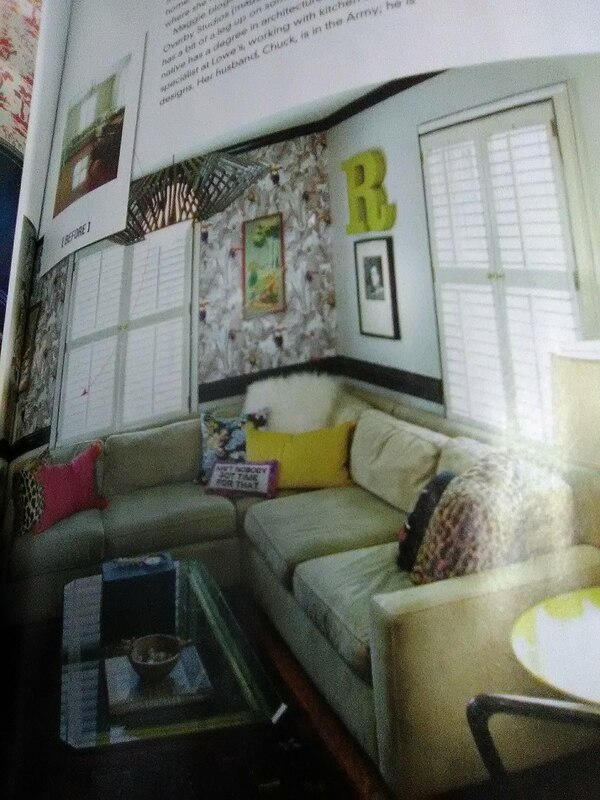 Even though there is a lot of “stuff” in the rooms, the repetitive use of the same color keeps the look cohesive. 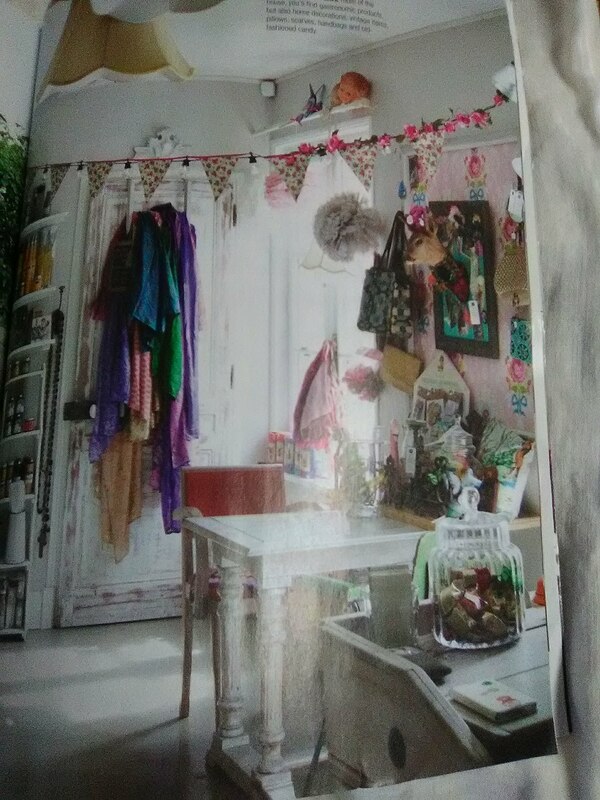 Some of the rooms are funky, and some are sophisticated and even elegant (the peacock feathers). 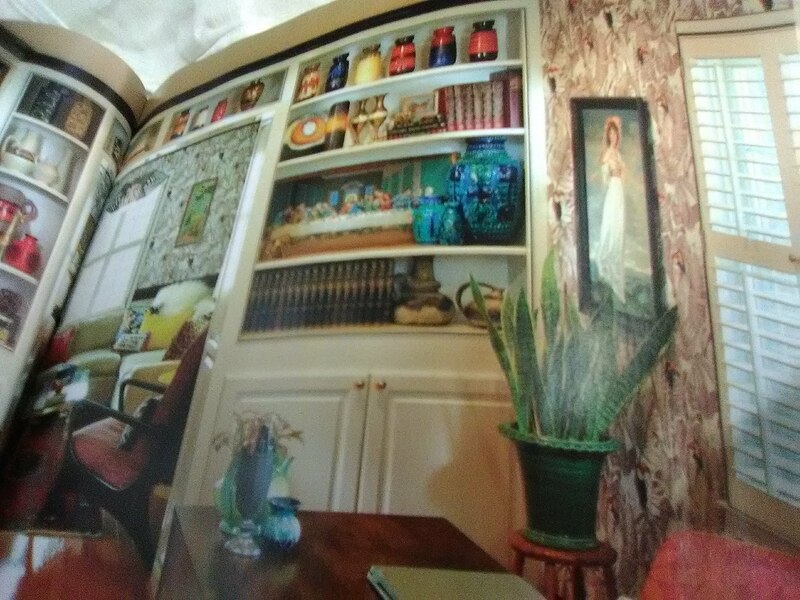 All of them feel warm and inviting, and they definitely express the homeowner’s personality and individuality.